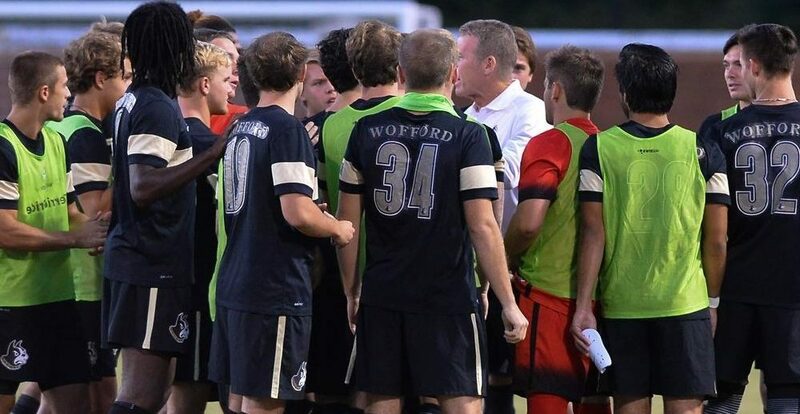 The Wofford College Terriers Men’s Soccer Elite College ID Camp is a four-day event that is set to run from the 22nd of June until the 25th of June. The event is designed for all male high school soccer players who desire to play at the college level. This soccer identification camp includes technical and tactical development training sessions and competitive 11v11 matches. There will also be a college recruiting seminar and an all-star game. Furthermore, this event is going to take place at the scenic Wofford College campus which is in Spartanburg, South Carolina. The camp’s daily schedule is set to start at 7:30 AM and end at 4:00 PM. It will be a fun but challenging experience. Wofford College is a private, coeducational, independent, liberal arts college in Spartanburg, South Carolina. Its name is in honor of Benjamin Wofford a Methodist minister from Spartanburg. Wofford College is a proud member of the International Association of Methodist-related Schools, Colleges, and Universities (IAMSCU). It is also part of the Council of Independent Colleges (CIC). Currently, Wofford College is serving around 1,600 undergraduate students. Its undergraduate students’ enrollment acceptance rate is a selective 70 percent. Wofford College is also among the nations top performing academic institutions. As a matter of fact, it is 71st in National Liberal Arts Colleges, 2018 edition of the US News and World Reports’ Best Colleges rankings. It is also 42nd in the Best Value Schools category. In sports, Wofford College fields 18 men’s and women’s collegiate sports teams in the Southern Conference (SoCon) of the National Collegiate Athletic Association (NCAA) Division I. They are the Terriers and old gold and black are their colors. In the 2016 season, the Wofford College Terriers compiled an overall record of 12-7. They were the 2009 and 2013 Southern Conference Regular Season Champions. Additionally, the Terriers are also the 2009 Southern Conference Tournament Champions. Leading the Wofford College Terriers men’s soccer team is Head Coach Ralph Polson. He is now entering his 11th year at the reins of the Terriers men’s soccer program. Coach Ralph Polson is an alumnus of Erskine College. He is the former secretary, Vice-President of Conventions and Awards, and president of the National Soccer Coaches Association of America (NSCAA). Ultimately, Coach Ralph Polson is the 2009 SoCon Coach of the Year awardee. This award comes after he led the Wofford Terriers to a Southern Conference regular-season title and Southern Conference Tournament title. Presently, Coach Polson is part of the NSCAA Board of Governors Advisory Council. The Terriers assistant men’s soccer coaches are Mick Giordano and Mario Stojkoski. Coach Mick Giordano is now entering his second season with the coaching staff. He is an alumnus of the University of North Carolina at Asheville. Coach Mick Giordano is also the former Wake Forest University assistant coach. Similarly, Coach Mario Stojkoski, a native of Skopje, Macedonia is also entering his second season with the Terriers men’s soccer coaching staff. He is an alumnus of Newberry College. Coach Mario Stojkoski is a former member of the Kansas City Comets of the Major Arena Soccer League (MASL), an indoor soccer league. Come and join the Wofford College Terriers Men's Soccer Elite College ID Camp. It is a venue for outstanding male soccer players to display their exceptional skills. This soccer identification camp is going to replicate a real college training and playing environment. It is going to take place at the beautiful Wofford College campus.